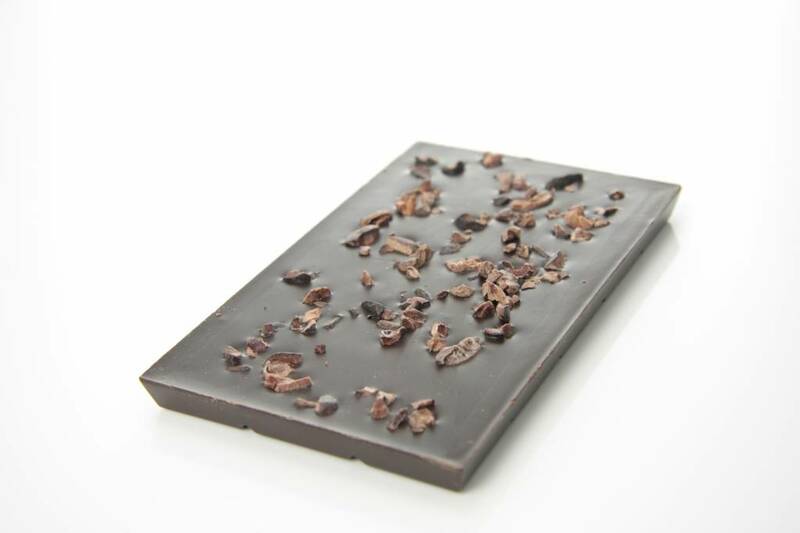 A bar of dark chocolate (70% cocoa) covered with cocoa nibs. 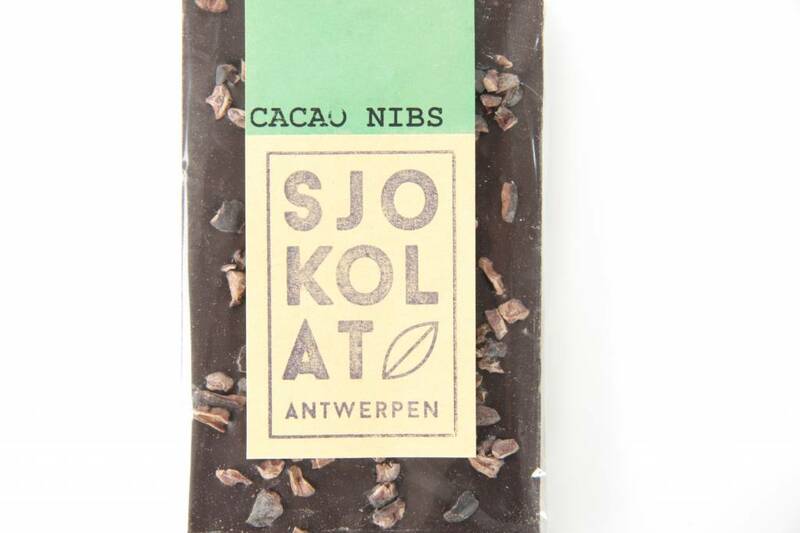 Cocoa nibs are crunchy but tender pieces of dried roasted cocoa beans. 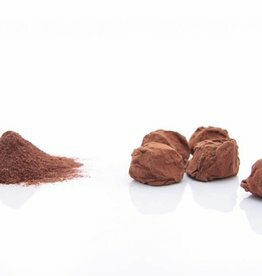 They contain high levels of anitoxidants, minerals, vitamins and fibers, and even more importantly (to us anyway): they are very yummy. Now isn't that a great way to enjoy superfoods? 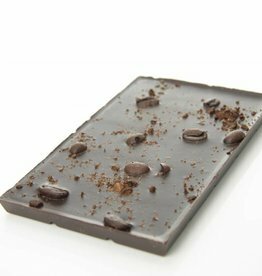 They're right there in your chocolate bar! 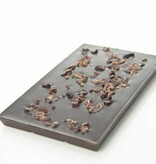 A bar of dark chocolate (70% cocoa) covered with pieces of roasted coffee beans. 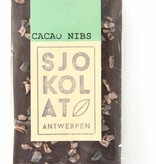 Delicious with a fresh cup of espresso. 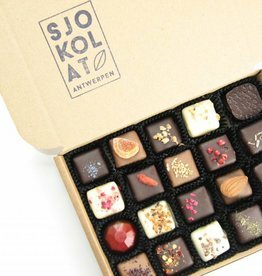 Our best-selling gift box with a well-balanced mix of 20 handmade chocolates. A bar of creamy milk chocolate sprinkled with grains of sea salt.